Sometimes we can get truly great wisdom from others. People with real life experience can share their secrets of success, or their lessons learned from missteps, and we can reap the benefits. Simply keeping our ears open, and truly listening to what they have to say, can be a nice way to help us learn and shape our own decisions. On the other hand, sometimes we hear things that make us pause, do a double-take, and ask ourselves: “Did I just hear that??”. I was recently thinking about some of the crazy things people have said to me regarding money over the years. Or, at least I can say that they were things that didn’t quite follow my way of looking at things. Ummm….yeah. I bought a “used” house, otherwise known as an existing home, or even as a previously owned home. That’s quite normal in many parts of the country, actually! This person clearly must view things differently than me, when it comes to the trade-offs involved with homes and school districts. This quote came from a girl back in college. She apparently “liked me”, from what I heard. But that didn’t stop her from telling me a story about someone in her sorority who got asked out a lot. The other girl apparently wrangled quite a few dinners out of different guys. So, the girl I knew told me how she thought that was so cool, and that she should have done more of that. Then she dropped the line that basically said guys are great mostly due to free dinners they buy you. Hmmm….did she think that would endear me to her? I lost any lukewarm interest at that point. She point blank asked me a few weeks later how I felt about her, and I tried to nicely tell her that I wasn’t interested in dating her. Clearly that wasn’t what she wanted to hear. Just as I didn’t want to hear about how the best thing about guys is that they spend money on you! 3) “If we can’t pay for it all now, we’ll just make more money later and pay for it later”. This, much like the first quote above, was from a person a generation older than me. She was talking about a big household furnishings purchase, and I commented about how it was quite the cash outlay. She then bristled, and chuckled (nervously and defiantly), before talking about how credit cards were great because you could take your time paying. That way, you could “just make more money later and pay for it later”. Now, this wasn’t a loan for an affordable home, or education. Heck, it wasn’t even for a car. This was for furnishings that one shouldn’t be financing. The way she said this was as if it was perfectly normal. 4) “Hey, while you’re paying for college, I’m making $7.50 an hour!”. Yes, this was a guy who was year older than me, who left high school and didn’t go to college. At least, not right away. I saw him a year later, after I was in college and he had been out of high school for a couple of years. He was telling me about how it was great to not take classes, and to be able to be free to make money and have a good time. I told him that college was fun too (very). That’s when the guy smirked, looked at me as if I was a fool, and told me that while I was paying for more schooling, he was already making money. Whatever. As long as you’re not taking on excessive loans at an overpriced school for a useless major, you’re likely better off with an education. I’ve written about education and net worth before, so you probably know what I thought of that guy’s comments even then. 5) “I’d rather just stick money in CDs”. This was a friend of mine who is quite smart, and made a decent salary when younger, but didn’t believe in putting money in the stock market. He just thought it was pure speculation, and that his money was safer in more risk-averse investments. Well, most of us know that over the long-term, the rate of return in stocks exceeds that of putting money in certificates of deposit! Happily for him, he changed his ways after a number of years, and is now doing very well for himself. But early on, not so much wisdom. 6) “I invested EVERYTHING in the company’s stock, and recommend that you do the same”. This was a guy who was having a retirement party at work some years ago, at a former employer. He was talking about how spending his whole career with the same organization worked out well for him, and that this could be seen with how it directly impacted his investment success. He was loyal to the company, believed in it, and invested everything he had in it. Which of these 6 quotes is the most unusual to you? What crazy money-related comments, or bad financial advice, have you heard over the years? Halloween has become big business. Back in the day, it was a time focused on kids. You know, dressing up and going out trick or treating. It was a fun time, something that involved going around the neighborhood, knocking on doors, and getting some candy. Some spooky ghost stories added to the fun. All in all, good times, and a fun part of childhood. Today, Halloween is practically a holiday for some people. Or, at least to the extent that there has become a “Halloween Season” of sorts. You’ll see not just kids enjoying this season – but teenagers and grown ups as well. There are parties all over the place, and even some workplaces get into the fun in some capacity. Halloween costumes have gotten more elaborate, and for the grown ups – quite expensive and even competitive. People go to great lengths to revel in the festivities. Oh, that’s not it. There are tons of Halloween-themed products out in stores. Aside from costumes and related items, there are lots of Halloween season clothes, as well as food products out there. It’s not just candy corn, but anything and everything that can be pumpkin flavored or have some kind of monster label attached to is leveraged in attempts to monetize the season. That brings me to the following question: How much will you spend on Halloween? Having kids, I look at it as a time where it’s all about them. I guess I’m a bit retro that way. But really, it’s also about – you guessed it – not spending a whole lot of money! Don’t get me wrong – we have other fun fall traditions that we take part in that do cost some money, such as apple picking and visiting the pumpkin patch. So it’s a matter of choice where such spending will go. So, how much will be spent on Halloween in this household? Well, of course money will be spent on kids’ costumes. Aside from that, in terms of spending on grown ups, here is the amount that will be spent: ZERO. Yes, that might seem oh so 20th Century to not be going to a Halloween party and spending tons of money on getting dressed up, eating/drinking, etc. I last did that 4 years ago, and dropped $200 or so that evening! Also, it might seem out of place to not be spending lots of money on Halloween-themed clothes, or decorations, or things of the like. Rather, I’m letting this be a kids holiday. Admittedly, I do enjoy giving candy to kids that trick-or-treat. To me, it’s a fun part of simply being a regular part of society here in the U.S. Kind of like choosing to buy girl scout cookies – participating is just kind of wholesome and enjoying being a part of things. That being said, this year we won’t have anyone home on that day, so no candy will be bought either. 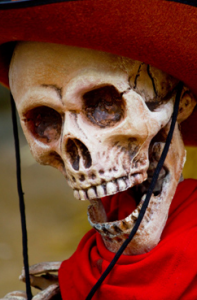 Bottom line – aside from spending on the kids, I’m spending zero on Halloween this year. And liking it! Aside from any spending on kids, how much do you spend on Halloween? Do you think this is one of those times of the year that you just have to spend money, or not? Even if you don’t spend much, do you still enjoy participating (as I usually do)? Some money questions are very important. Just a few examples are: how to discern wants from needs, how much to save for retirement, and where to invest money. Now it’s time to move on to what you know is a much more “important” money question: how much money should the tooth fairy give a child for losing a tooth? Believe it or not, I actually wrote a prior post that involved this subject, but it was more about a friend’s kid trying to get money for losing a tooth. Only, a tooth wasn’t actually lost! It was one of those eye opening revelations that got me thinking “Wow, kids can be quite clever!”. In this case, I’m interested in hearing what you think about what’s “normal” – if there is such a thing – in terms of what a kid might get for losing a tooth. Keeping in mind that of course, not everybody goes along with the concept, and many even think the whole concept of the tooth fairy is simply dumb. This topic came up because of somebody else I know talking about the “going rate” in his area (he lives in a different city than me) is $10. Yes, that’s right – over there, kids get $10 from their parents – err, I mean the Tooth Fairy – for losing a tooth. The child leaves the tooth under the pillow, and wakes up to a nice chunk of money waiting for him or her. Seems like a pretty good deal for kids, and expensive for the parents! It gets better though – some kids there might even get a stuffed animal for losing a tooth! Anyway, I was thinking that $2 was in line with what I got as a kid, from an inflation-adjusted basis. I think I got $0.25 or $0.50. To me, this seems to be a lot. Or, at least so I thought! Did you ever get anything from the “Tooth Fairy”? Do you think it’s a ridiculous concept, or something that’s one of those fun little things about childhood/parenting? What do you think is a reasonable amount for a kid to get for losing a tooth? How often do you hear people in mainstream media celebrate frugality, as opposed to sensationalizing people spending money on lavish homes, cars, engagement rings, and the like? While there are some instances where frugality is discussed, such as home makeover or couponing type shows, we hear a lot more about lavish lifestyles celebrities have. The idea of having money and spending it on fun things just seems more interesting, and worthy of celebrating, than being frugal. Actually, more so than even simply being financially responsible and paying bills on time! So, here I am after listening to her. At the obvious risk of sounding old, I wonder why in the world these popular songs that clearly resonate with younger listeners have to include references to maxing out credit cards and not paying rent that’s owed? Music and money seem to go together when it comes to spending. What about lyrics on something like what expenses to cut, or celebrating the ability to spend wisely? What do you think of such lines in music, listened to by impressionable kids? Why do you think it is that spending seems to be glorified in many cases? Have you ever heard a song where people talked about saving money or getting a deal? I can’t recall one off hand! Score some stock returns for us! As many of you might know, if you’ve been following Squirrelers, I sometimes delve into data to identify trends and find insights. For example, I’ve looked at stock market returns by month to identify which months perform best/worst. Another example, among others, was analyzing how the best companies to work for have had excellent stock performance in the past. Whether stocks or other areas of personal finance, it’s often interesting to slice and dice data to to find some information that might be useful in some form or another. In this case, I thought I’d look at some data from another angle, this one more just for fun. With the football postseason in high gear, I set out to identify trends related to the Super Bowl and stock market returns. Are there any trends we can identify by looking at who won the Super Bowl in prior years, and how the stock market performed in those years? 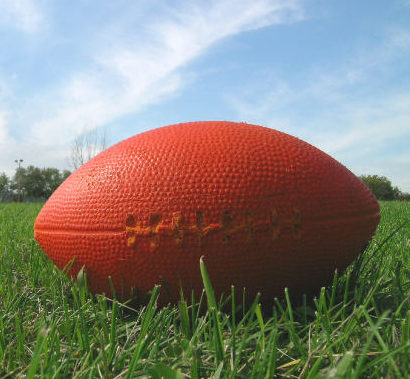 I first collected information on who participated in the big game since it first kicked off in 1967, and which team won or lost. Then, I pulled stock market data from each year since then, and calculated the annual return for the market. Specifically, I used the S&P 500 to analyze stock performance. In looking at the data, the natural split seemed to be by conference: NFC or AFC. Organizing it by which team won the championship in any given year, I was able to pull together tables. Keep in mind that through the 2011 game, the NFC has won 24 championships, and the AFC (or old AFL, for the first few years of the title game) has been victorious 21 times. The first table shows the results by seasons the NFC won, and the second table does this for seasons the AFC won. As can be seen, there is a notable difference in stock market returns based on which conference emerges with the victorious team. Clearly, there is a Super Bowl Effect – which might as well be referred to as an NFC Effect. 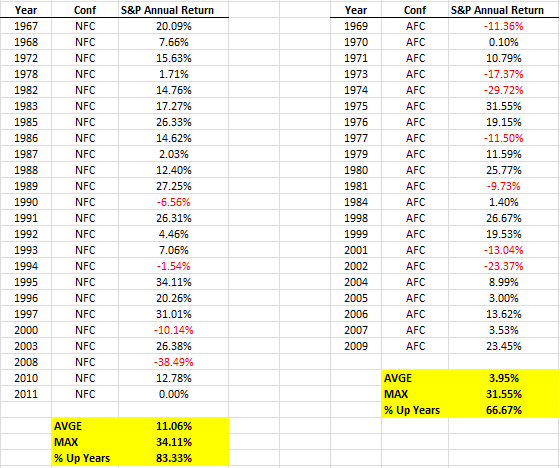 Years where the NFC wins the game end up with an average return of 11.06%. When the AFC wins the game, market returns average just 3.95%. Additionally, when the NFC wins, the stock market is more likely to have an overall positive year: 83%, vs 67% when the AFC wins. OK, this is all in fun. Plus, the sample size isn’t that great in terms of total numbers. 45 years of data seems like a lot, but it’s not a huge data set. Besides, correlation doesn’t mean causation! But hey, if you don’t have any particular rooting interest in the game – and if your favorite team isn’t there (like me) – why not cheer for a potential winning outcome for the market! 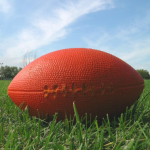 Have you heard of the Super Bowl impact on the stock market? Who are you going to be pulling for in the Super Bowl? As a personal finance blogger, I tend to think about money a fair amount. It’s safe to say that those of us who write about money probably think about it more than the rest of the population would, on average. Of course, sometimes we need to disengage from any and all thoughts about money, and simply enjoy certain aspect of our lives just for the sake of enjoyment itself. At times, it takes a certain event to get us thinking along those lines. I got to thinking about one of those moments recently. The event occurred months ago at my daughter’s elementary school. Basically, they had a program in the classroom where one day a week – if there were volunteers – a parent would come in and read a story to the class. The parent would be there for maybe 20 to 30 minutes, then leave. The catch was that the kids didn’t know who would be coming in to read. This person would be referred to as the week’s “Mystery Reader”. So, I signed up to do this, and took a half day off work to make it happen. It was important to me, and something that I felt would bring such a great surprise to my daughter while giving her memories of the day that Daddy showed up at school and read to the class. I know that if that had ever happened when I was a kid (it didn’t), I would never forget it. Anyway, on my designated day, I showed up and checked in at the main office. I felt like a little kid at the principal’s office, because that’s basically where I was! Like going back in time, and the building is from that era as it is, so it felt like it. Anyway, once I signed in, I was sent down to the classroom. I subsequently knocked on the door, at the time the teacher was expecting me. The teacher then told the class that the Mystery Reader had arrived, and that they had to cover their eyes (and maybe have heads down too). So, I walked in, and was directed by the teacher to the front of the class toward a chair, where I’d sit down and read a book that she gave me. Then, once I was situated, she told the kids that they could open their eyes. The look on my daughter’s face was priceless. She seemed so surprised and so excited to see me there as the Mystery Reader! When a kid’s parent is the Mystery Reader, they get to go to the front and sit next to the parent while he or she reads. So, with her next to me, I read the story to the class! They enjoyed it, so the teacher asked me if I’d read another short story and I did. Then, the class was allowed to raise their hands and ask questions. Three questions from the group were allowed, and my daughter was allowed to call on those who raised their hands. It was a fun experience, for myself and for her too! And guess what? I spent no money on it whatsoever. Oh sure, I guess you could monetize that 1/2 day, but you know what I mean. There were no direct expenses on my part for that day at all. Zero. I just showed up and read to her class. Even better: the amount of enjoyment she and I got from it was so worth it. A true memory was made, for parent and child. All for free. Sometimes, the finer things in life are truly free! We just have to embrace those moments. Do you ever have instances that remind you about how some things are priceless and money can’t buy happiness? Do you have any such memories from childhood? Back in the old days, before most of us (including me) remember, people had to go out to see a movie. It was an experience, and a common form of entertainment. Do that today, and it could end up being a costly experience. At the local theatres, it’s about $10 a ticket for going out to the movies at night. Let’s say there are two of you going out – that makes it $20 just on tickets. While you’re there, you might get tempted to get a bag of popcorn, candy, or a soft drink. Each of those will likely set you back another $2 to $5, based on what you’re buying. All told, it’s easy to spend $25 for two people to go out to the movies, at many theatres. Admittedly, I do like to go out to the movies. It’s fun to go out and get a real theatre experience, with the requisite big screen and high quality sound. I don’t go very often these days, maybe a few times a year. It’s enjoyable to go, but there are other options for watching movies, and I’ve taken to a few of them. Sometimes, you can go see movies for less money by going to a low budget place. Some of these are actually pretty decent. I recently went to a place that offered new releases, for much lower price. I believe we paid $6 per ticket for a prime time show. Now, the theatre is much older, without many of the niceties of more modern venues. However, it’s a good option for going out to see a newer movie while paying less. I know there’s a place within a 30 minute drive from where I live that offers $2 movies. Haven’t been there, but someone who has told me that it was totally worth it. For many of us, these options do exist. We just have to seek them out – and many times, be pleasantly surprised! If you really want to go old school, you could do this. Aside from theatres, this was another venue of several generations ago. Not far from where I live, there’s a drive-in that offers showings for less than what you’d pay at a traditional indoor venue. I believe they’re in the $5 to $8 range. Anyway, it’s a way to save a few bucks and more importantly get a different experience. Speaking to the streaming plan, for $8 you can watch unlimited movies. Clearly, despite recent controversy, this option is very popular. Netflix accounts for a staggering percentage of internet bandwith, recently noted at 32% of U.S. downstream traffic at peak times. I’ve enjoyed the unlimited option with Netflix to some extent, as it’s convenient and super low cost. However, you likely won’t be getting the newest, most popular current movies with this plan from what I’ve experienced. Something to consider. With my provider, newer movies cost about $5 to watch. It’s convenient, as you just push a few buttons and you get to watch a movie. That seems too high to me, and I’d say that there are better alternatives. However, it’s clearly cheaper than going out to the movies. Around here, these kiosks are seemingly everywhere. At $1 per day for a regular DVD rental – or $1.50 per day for BluRay – this is a good, low cost option for people who are on the go. I’ve enjoyed Redbox, and it’s a good way to get a movie for a very low cost. As long as you know you can return it the next day, and don’t have to go out of the way to visit the kiosk, it seems like a good alternative. I, for one, love thriller movies and when I find a good one, I like to watch it numerous times. As a result, I find that purchasing DVDs online makes sense, since I can often find much lower prices than traditional retailers. Of course, this is also much cheaper than going to the movies, so I can simply invite friends or my date over to my house to enjoy a selection from my DVD collection. Having these DVDs on hand at all times means that I can watch my favorite movies without having to leave the house. There are plenty of other options: Amazon, Apple iTunes, Vudu, and Blockbuster. With the latter, they’re still around with some varied options, though I think it’s interesting how Blockbuster might have been the first option if an article like this would have been written a decade ago. Now, it’s almost a footnote here. What’s your current favorite way to watch movies? How often do you go out to a theatre to see movies?